Whether you are looking to prevent future health complications, promote graceful aging, or you are wanting to improve athletic performance, a chronic condition, your immune system, energy and moods, you can experience resilience and vitality with IV Nutrition Therapy at LifeWorks. Vitamin C (ascorbic acid) is a water-soluble nutrient essential for growth and repair of all the tissues in your body. Your body can’t make or store Vitamin C, so it’s important to get plenty of Vitamin C on a daily basis. Vitamin C is an extremely important antioxidant due to its ability to neutralize oxidative radicals and protects against toxins like pollution. When it comes to IV Nutrition Therapy, Vitamin C is one of the most common therapeutic approaches and rightly so. A dose of 10 grams or more is considered high dose Vitamin C. It is very difficult to take high doses of Vitamin C orally without causing GI irritation. This is where IV administration becomes a wonderful option and solution for many applications. By sending the Vitamin C directly into your bloodstream, we ensure maximum absorption and the best results. Called “The mother of all antioxidants,” glutathione delivers potent and effective antioxidant immune support to fight infection and disease. This powerhouse molecule is made up of three key amino acids and has multiple important functions in our bodies. It sounds like it is essential to have adequate levels of glutathione, doesn’t it? Luckily, our body produces glutathione, but because of our exposure to toxins (poor diet, pollution, chemicals in beauty & cleaning products, medications, stress, aging, infections, etc.) it is not uncommon to see depleted levels of glutathione. Ensure your body is getting the benefits from this key nutrient with a glutathione add-on in your favorite IV treatment. A novel approach to antioxidant support. This formula enhances the delivery of effects and solubility of Alpha Lipoic acid (ALA) in fat and water tissues. ALA is a powerful antioxidant, increase glutathione levels in the red and white blood cells, it can cross the blood brain barrier for protection of brain tissue, improves effectiveness of Vitamin C and is a good chelator of Mercury, Cadmium, and Arsenic. ALA also can help with neuropathies, insulin sensitivity, Glaucoma, peripheral vascular disease, nervous system protection in Myelin Sheath disorders, hepatitis C, and protection from radiation damage. This Delivery method not only provides a VERY potent free radical scavenger but it also provides Cellular Energy at the mitochondrial level. Due to this, PolyMVA and CoQ10 work synergistically. Did you know that we need upwards of 25 times higher the amount of vitamin D than what the government recommends? Vitamin D is one of the most important vitamins for a healthy immune system. Vitamin D deficiency has been linked to many health complications such as depression, high blood pressure, heart disease, diabetes, fibromyalgia, chronic muscle pain, bone loss, autoimmune disease, and even many cancers. Your body creates Vitamin D using UV light absorbed through your skin. However, this might not be enough. Learn more about the importance of adequate Vitamin D levels and how IV Nutrition Therapy can help HERE! When someone hears the herb Milk Thistle – liver comes to mind. Probably because it is very safe and effective to aid in restoring liver function and support detox pathways which contribute to many liver disorders like, hepatitis, cirrhosis, gallbladder congestion, and in the elimination of environmental toxins. It also acts a an antioxidant 10x’s more powerful than Vitamin E and can increase liver glutathione levels by 35%. 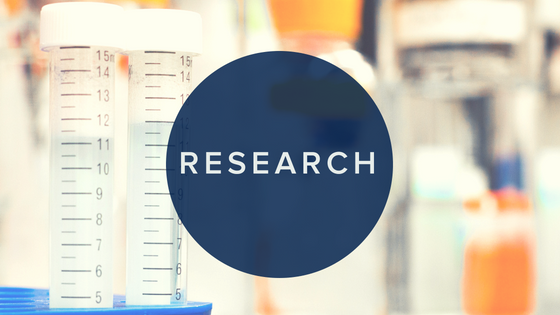 Your search for IV infusion therapy in Overland Park KS is over! As your trusted source for comprehensive, cutting edge, science based healthcare, LifeWorks Integrative Health offers intravenous nutrition therapy. This method of wellness support and disease management has a long standing reputation for being effective for a variety of health conditions. Not only is this the ideal boost for athletic performance and recovery or to enhance overall vitality, but also a powerful support for chronic diseases such as Fibromyalgia, Chronic Fatigue, Lupus, and Lyme disease. You can experience resilience and IV therapy can help. Through delivering vitamins, minerals and amino acids intravenously, the body can achieve serum concentrations of key nutrients not obtainable with oral dosing alone. By giving vitamins, minerals and amino acids directly in the bloodstream, nutrients can bypass the digestive tract and go right to work. This is uniquely beneficial in conditions where gastrointestinal absorption is poor and nutrient levels are deficient. Many patients come to us for help with chronic digestive issues that have left them profoundly nutrient deficient. While our functional medicine team works to heal and restore optimal function to the digestive tract, we can provide the key nutrients at optimal levels through IV nutrition therapy to support and speed up the healing process. Since oral administration of vitamins and minerals by design, pass through the digestive tract there are limits to not only what the digestive tract can absorb at any given time, but also what is comfortable for the digestive tract. For example, high oral doses of vitamin C can cause stomach upset and loose stools with the serum level of vitamin C not increasing significantly enough for some conditions. In other words, the high oral doses can have uncomfortable side effects and not actually get the levels of serum Vitamin C needed. This isn’t to say that oral Vitamin C isn’t useful or effective- it is, but that there are situations when a higher, therapeutic dose would be beneficial and this must be obtained intravenously. IV Nutrition Therapy promotes maximum absorption by the body to correct, repair and regenerate depleted levels of key nutrients. The human body is capable of restoring health and balance in amazing ways, but over time the body becomes drained of vital nutrients and energy. This is due to stress, injury, chronic infections, heavy metal, chemical toxicities and more. These daily, chronic exposures bring down our vitality and increase your vulnerability to chronic pain, chronic disease and autoimmune diseases. A custom formulation of IV nutrients to address your specific needs can replete the nutrients you need, and give you the vitality your body was made to have! Continuing with well designed oral supplementation can help maintain the benefits of IV Infusion Therapy and consistently give your body the right fuel. Your body is made to heal and the level of stress, poor soil quality, body products and increased levels of heavy metals can prevent even the most health conscious person from maintaining the resilience they desire. Standard levels of vitamins and minerals are based on RDAs- Recommended Daily Allowance. Although this can be a benchmarking tool, it is important to know that these levels were designed to prevent disease. They were not designed to promote optimal health. RDAs were designed to prevent vitamin deficiency related diseases such as scurvy and rickets, not to give you the vitality you deserve. The use of RDAs for vitamin and mineral supplement dosing is misguided since 100% of the RDA is not what promotes health, but simply what prevents you from being sick. Your body is made to heal, and it needs enough raw material (vitamins, minerals, amino acids) to do this. Poor soil quality, poor food quality, poor sleep habits, high intake of sugar, chronic stress, endurance sports, and high levels of chemical exposures from cleaning, body, and environment all deplete your body’s levels of raw material available to keep you thriving. In other words, your body is using up the raw materials needed to keep you truly healthy faster than the body can replete it. This is why functional medicine practitioners use what are considered “therapeutic dosing” for many supplements including vitamins, minerals and amino acids. Simply preventing disease is not good enough. You need a practitioner who knows how to replete and optimize your nutrient levels. This is why IV Nutrition Therapy is such an asset to your health. You can quickly, and effectively get therapeutic levels of the nutrients you need. Don’t settle for anything less than optimal health. IV Nutrition Therapy Is For You! 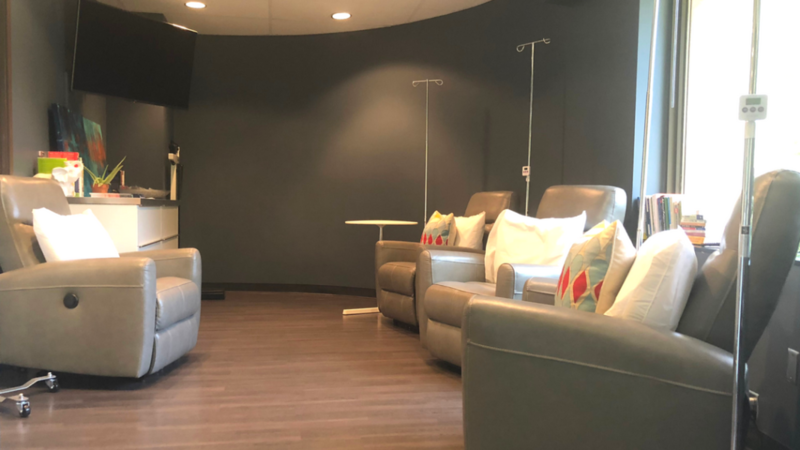 If you are ready to give your system a boost and see the vitality of which your body is capable, LifeWorks Integrative Health is your choice for IV Nutrition Therapy in Overland Park KS. We provide the solution you are looking for with customized nutrients based on your personal need and lifestyle. This provides the body with the nutrients it needs to regain its self-healing capacity and prevent disease. You can slow aging, increase energy, and feel better faster with custom formulated blends of vitamins, minerals and amino acids designed to start working immediately in the bloodstream.